The Clackamas Community College women's basketball team chased South Region foe SW Oregon throughout its season opener and was unable to track down the Lakers in a 68-59 loss to open the Cougars' Thanksgiving tournament last Friday. 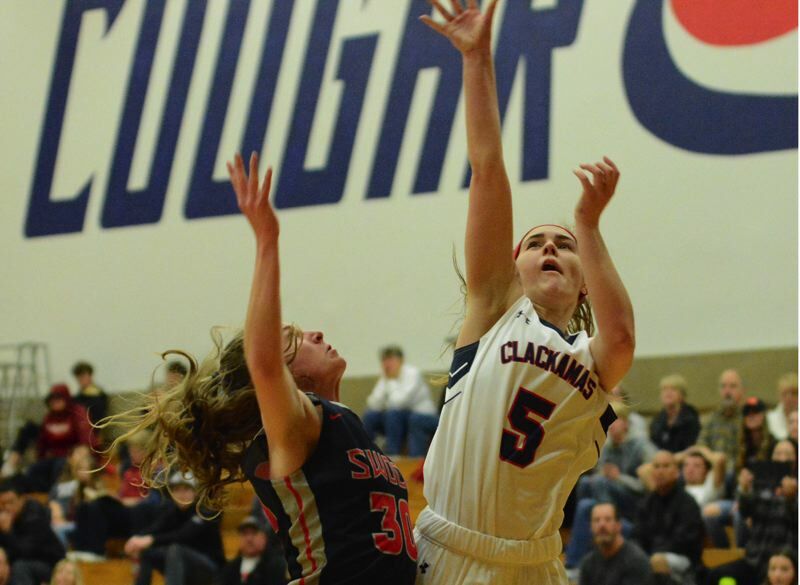 Clackamas found itself within seven points at the break, but SW Oregon scored the first three buckets out of the locker room to build the margin to 40-27, prompting the Cougars to call an early timeout. Clackamas returned to the court with a full-court press that proved effective for a few minutes. Mary Stewart swiped a steal that led to a Landy Williams layup, and C.J. Buckely missed a 3-pointer, but got the ball back and drove to the hoop to get Clackamas back within single digits. The Lakers soon figured out the seams in the defense and grew its biggest lead of the game at 61-43 with four minutes to play. Clackamas bounced back Saturday with a 103-77 win over Pierce and finished the tournament with a 102-99 loss to Umpqua. Look for expanded coverage in our Nov. 29, print edition.